It is important that you maintain life insurance with the children named as beneficiaries and the alternate spouse as trustee (via UTMA or otherwise) so that in the event that one spouse dies during the child support term, that the support intended for the children remains in place. The reason for naming the alternate spouse as trustee for the children is so that the remaining parent is able to use that money for raising the children and so that the divorced spouse doesn’t have to beg a sister or grandparent for money to raise his or her own children. The former family members may not look kindly on the remaining parent due to the divorce. 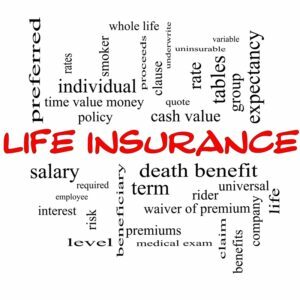 In addition, it is important to maintain life insurance with the prior spouse as beneficiary to cover the alimony term. In either case, if one of the divorcing parties is counting on financial support, that obligation should be secured through life insurance.